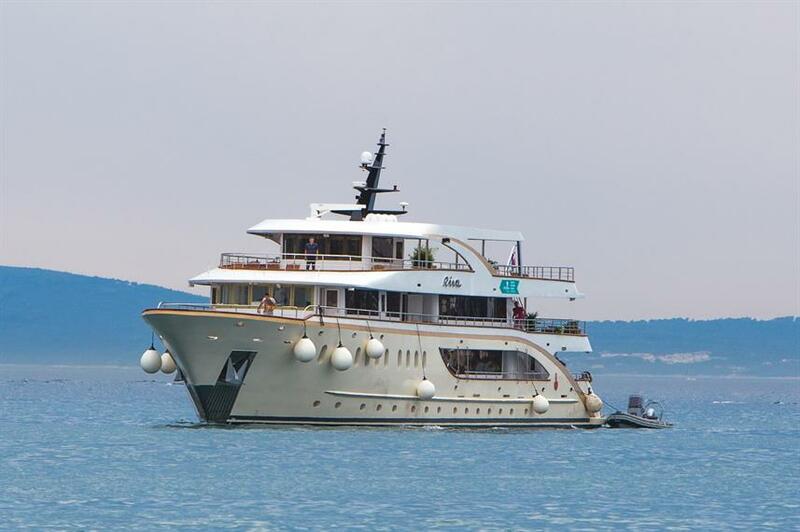 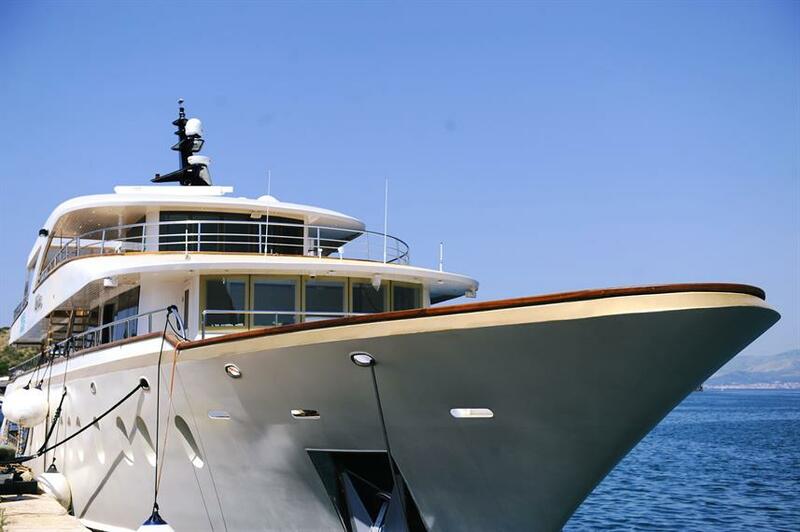 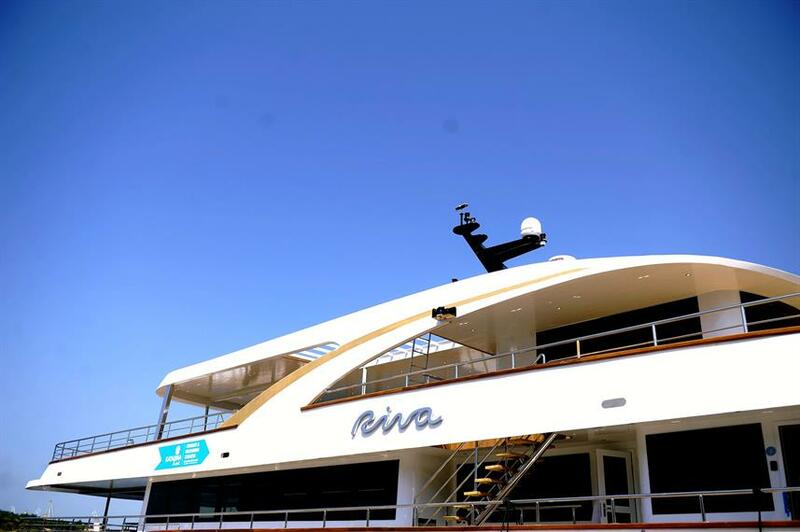 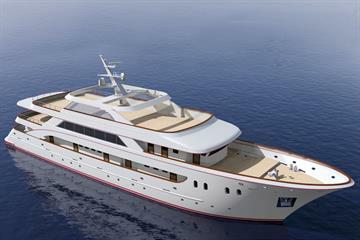 Join the stunning Riva yacht for a small ship cruise in Croatia. 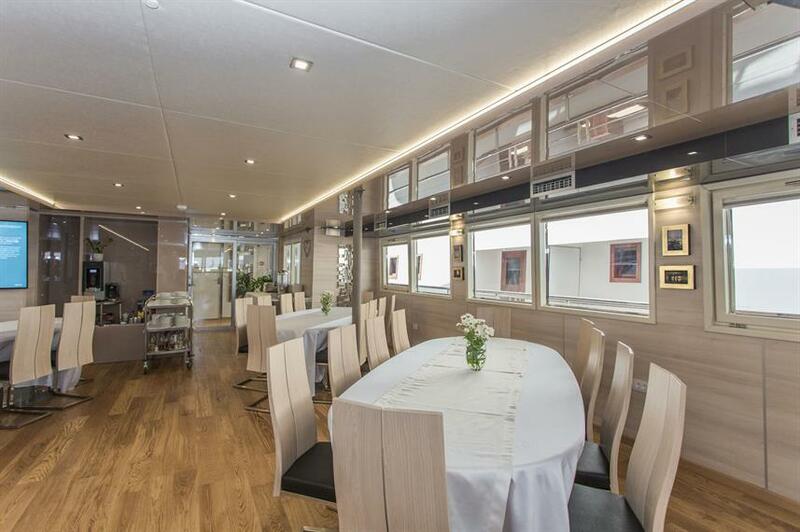 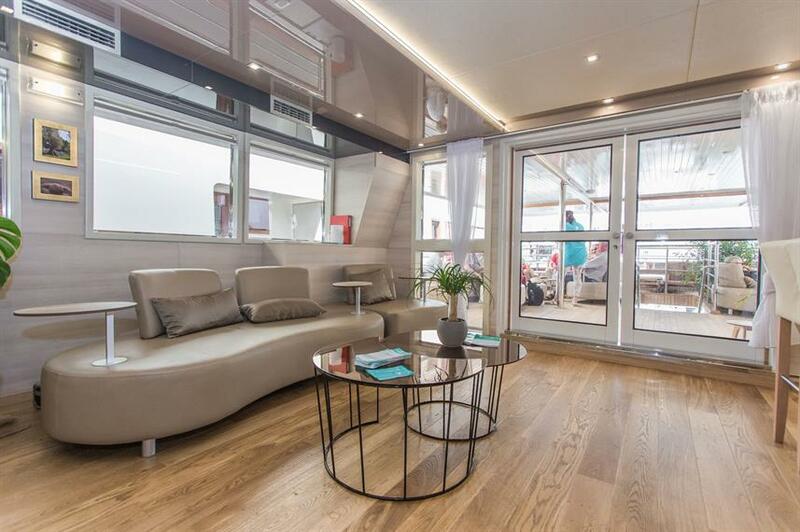 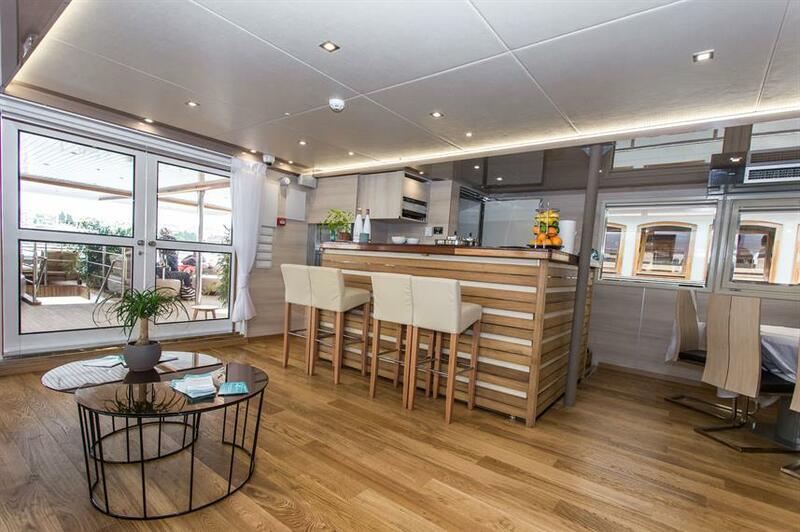 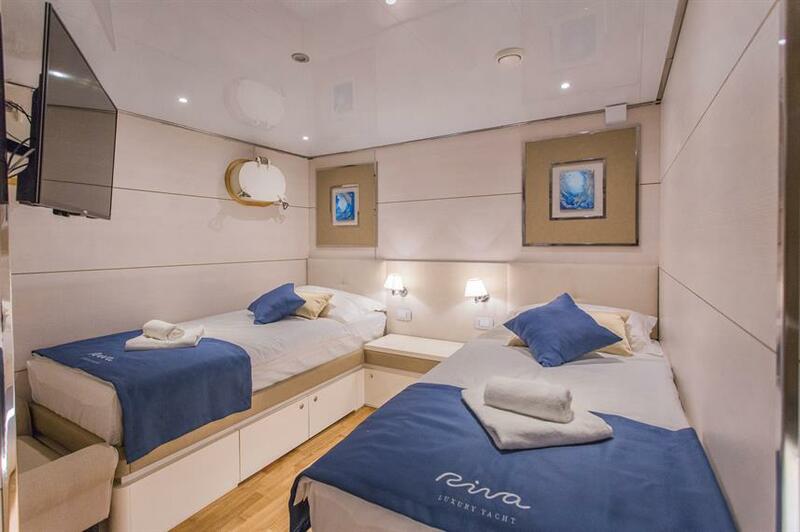 Built in 2018 and catering to just 38 guests, Riva offers modern facilities and a sense of comfort. 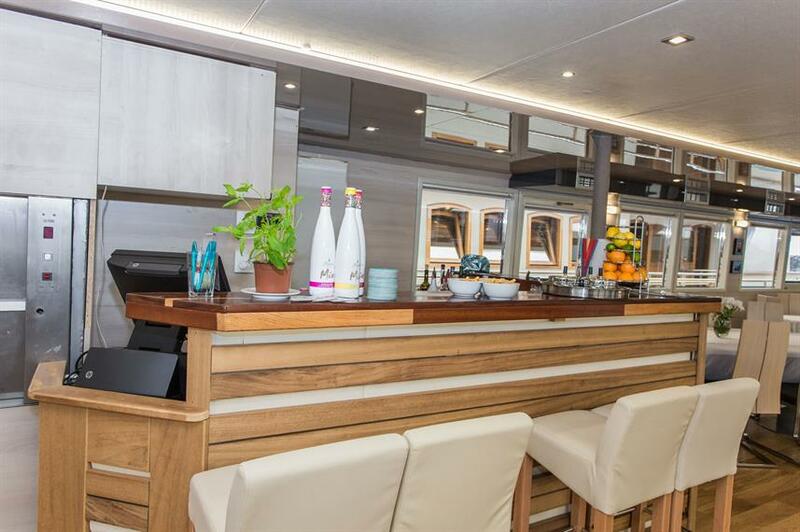 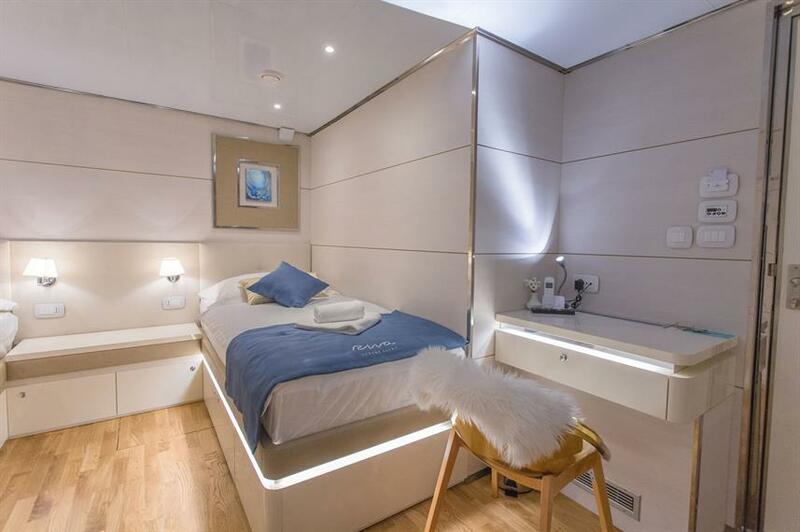 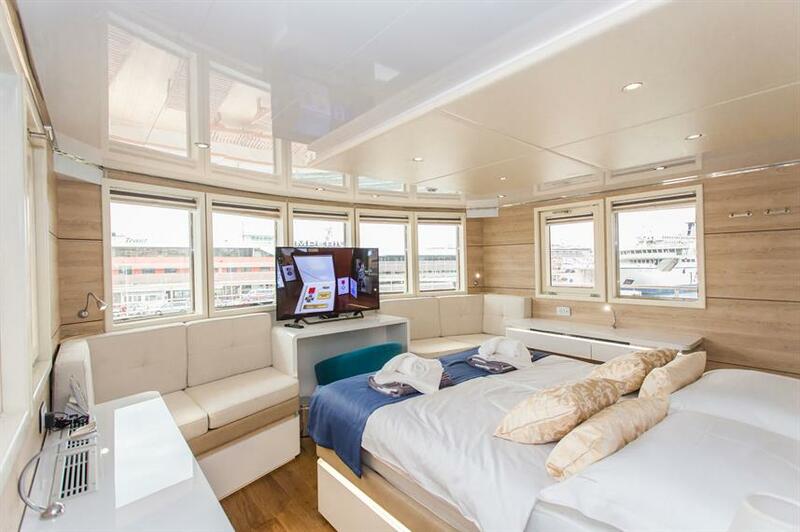 Social areas include a hydromassage pool, spacious sun-deck with loungers, outdoor bar, dining and lounge area as well as an indoor salon, bar and dining area, and an on-board gym for those that like to keep active. 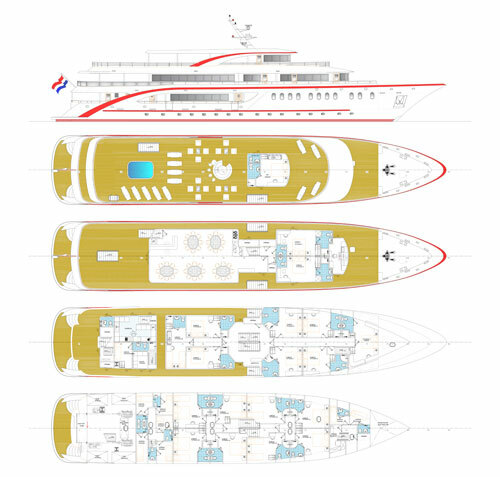 There is a total of 19 passenger cabins, including one VIP cabin on the sun deck, two cabins on the top deck, eight on the main and eight on the lower decks. 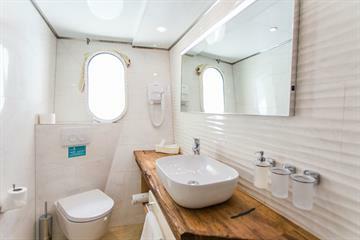 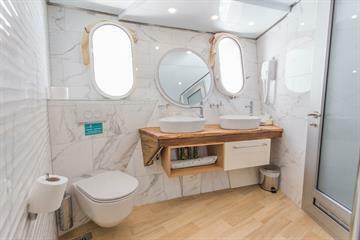 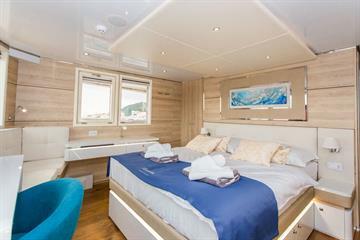 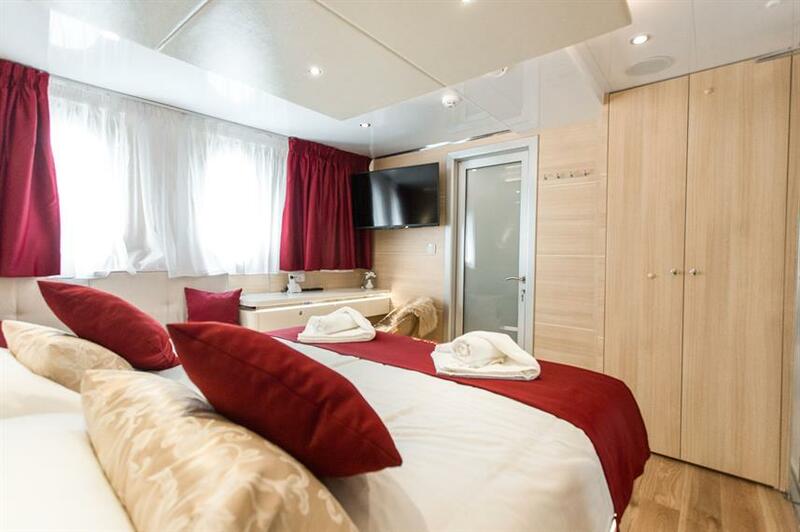 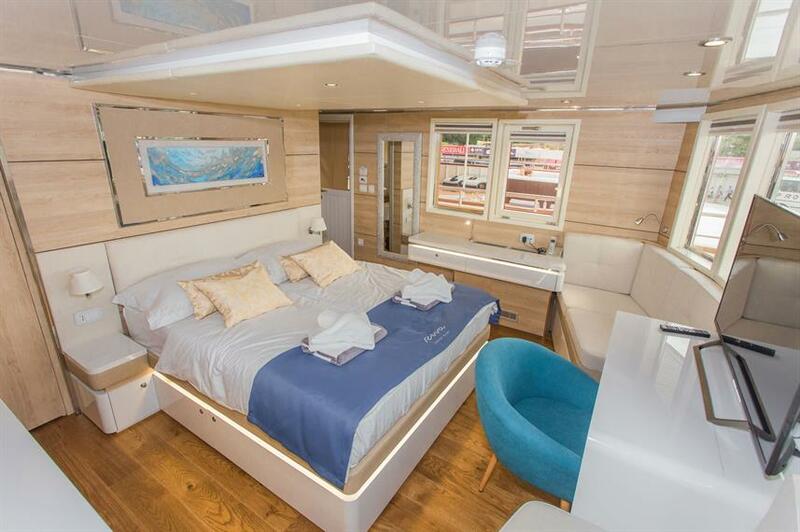 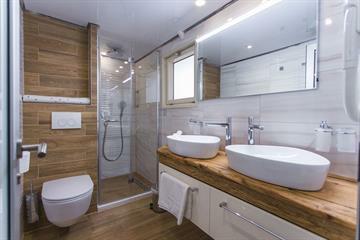 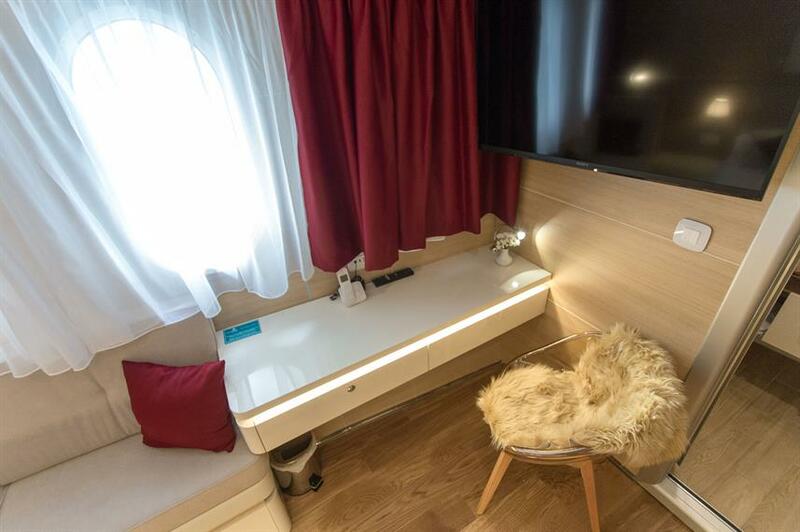 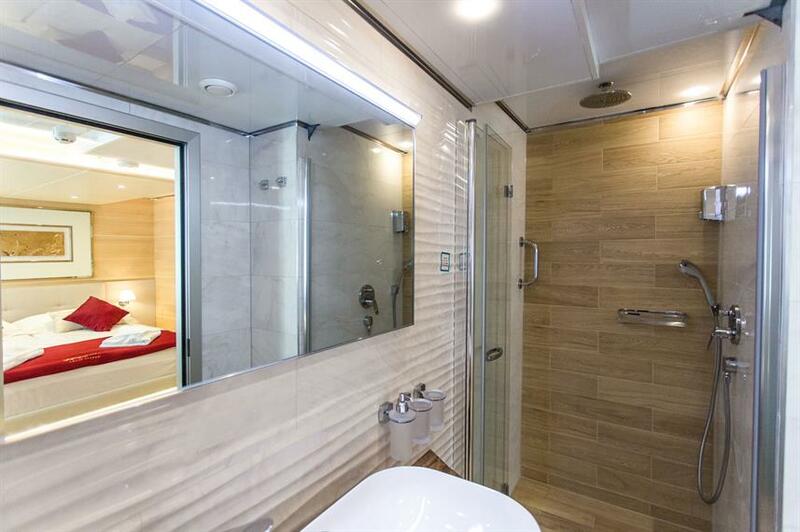 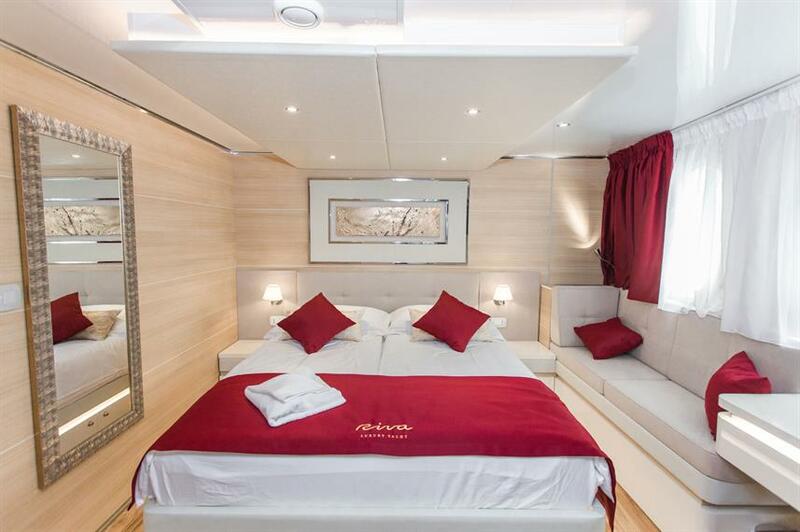 Each cabin is modern, spacious and bright with AC and en-suite bathrooms. 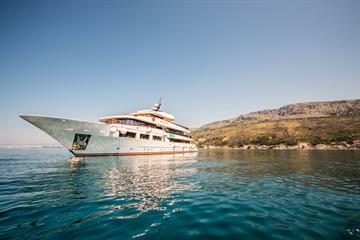 Cruises aboard Riva depart from Dubrovnik or Split and explore the stunning Dalmatian coastline. 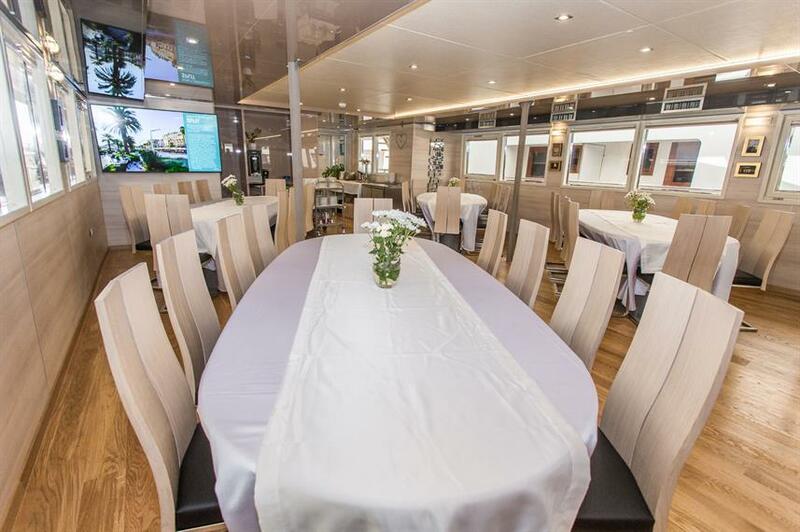 Highlights include exciting gastronomic experiences, guided walking tours, visiting stunning picture-perfect beaches and swimming in crystal clear waters, dining with the local villagers and an exciting evening dinner cruise along the city walls of Dubrovnik. 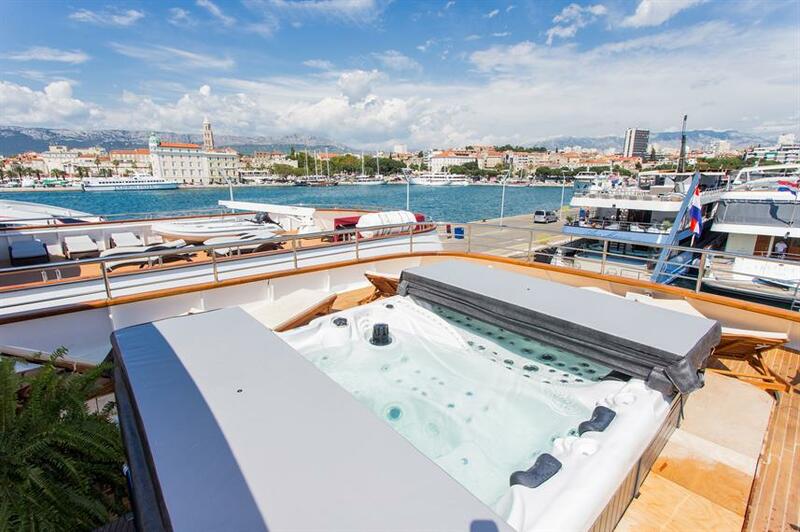 Explore the Adriatic Sea in comfort aboard the Riva yacht. 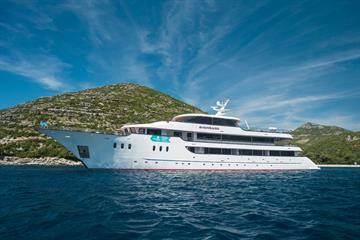 Call us or book online today to reserve your small ship Croatian cruise. 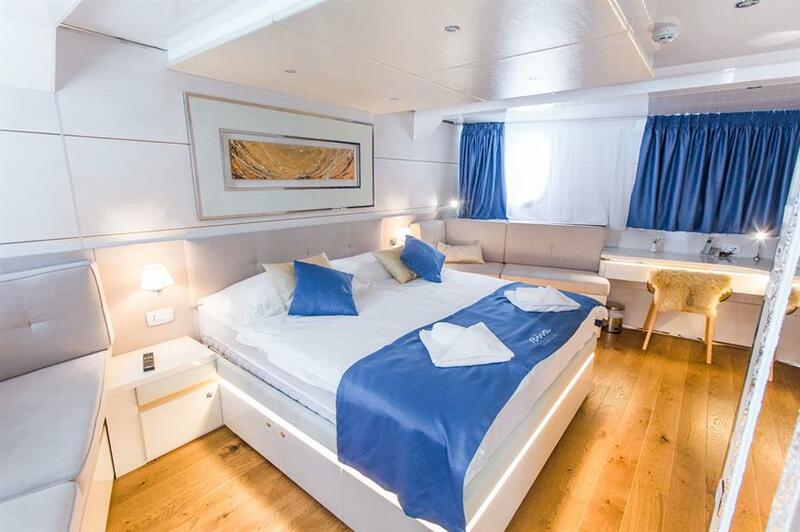 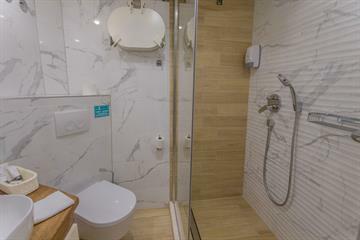 Located on the sundeck, Air conditioned cabins, with panoramic windows, TV, ventilation, safety deposit box, SOS alarm, smoke detectors, emergency lights and audio system for announcements and light music.